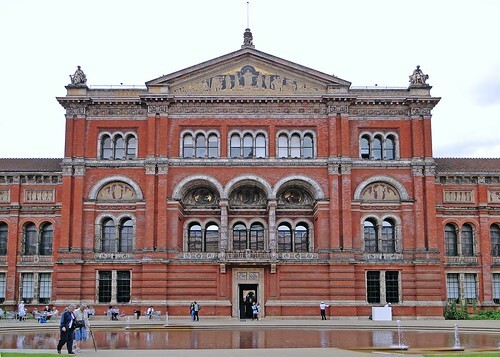 At first I was hesitant about visiting the Victoria and Albert Museum. This London attraction is billed as the world's greatest museum of decorative art and design. I was thinking odd clothing, funky wall hangings and other interesting housewares. I did not believe the kids would be interested. After digging in, I found plenty that would interest our family. 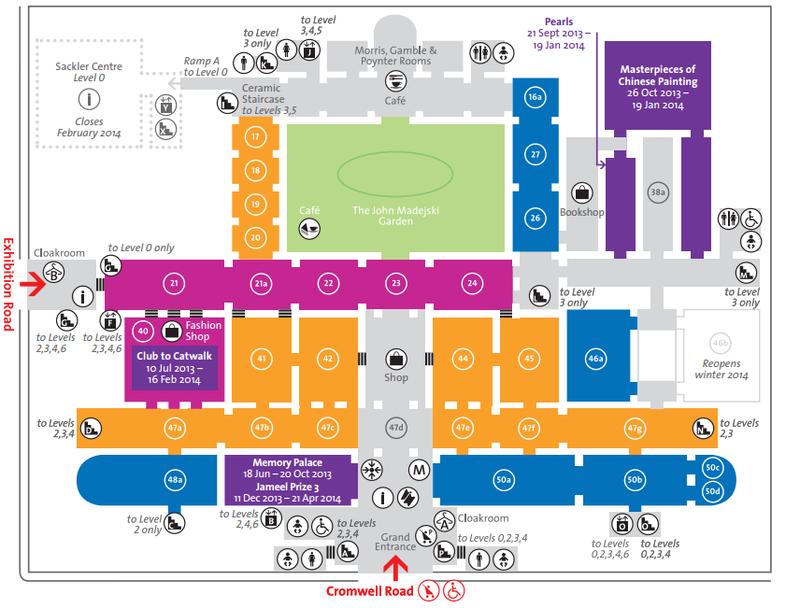 If you have younger kids you may want to start off in the basement at the Sackler Centre by picking up a free family trail map. In addition to guiding you to exhibits the kids will like, the booklet provides puzzles, observation games and drawings. 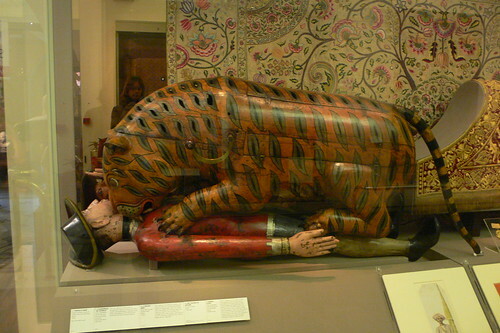 I think the young ones will really like exhibits such as Tipu's Tiger. This is a life sized mechanical hand cranked toy. Our older children would likely be interested in some of the hands on exhibits throughout the museum. As we have several brass rubbings in our home, I think they would like to try making one of their own. I also would like to share with them some of the amazing classical art throughout the building. In the Cast Court there is a plaster cast of Michelangelo's David (room 26-27). In room 46a there is a copy of an amazing, almost 3 dimensional piece called the School of Athens by Raphael. There are a number of other Raphael pieces in 48a. Another statue to find is Bernini's Neptune and Triton. As we move deeper into the museum we would like to find the Devonshire Hunting Tapestriesup on the third floor. The most interesting tapestry would be the Boar and Bear Hunt in room 94. Also on the third floor is a history of photography. On the second floor I believe our family could spend a lot of time looking through Medieval and Renaissance Britain galleries. Entrance to the museum is free, though certain exhibits may have a fee. You will be asked for a 1 pound donation for a map or you can print it free online. Better yet, they have an app that you can download. They do have WiFi in the museum that you can use. Make sure that your phone is set correctly. You should also check their website before going as several galleries have been closed for renovations. The museum opens at 10:00 AM and stays open late on Fridays. There are ample rest rooms throughout the facility. You can access the museum from an underground pedestrian walkway that runs from the South Kensington London Tube station to the basement of the museum. South Kensington is served by the District, Piccadilly, and Circle Lines. You can always use the London Transport option of riding a bike. 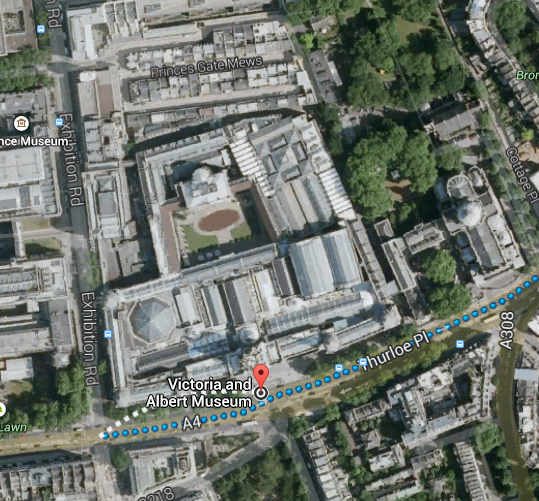 The bike dock is just down the road outside of the Exhibition Road entrance of the Natural History Museum. Going on a family vacation builds memories, provides life changing experiences and helps teach about the world we live in. Take time to explore, enjoy and have fun. If the Victoria and Albert Museum sounded interesting, you may also like the British Museum. You can also look at our entire list of London Attractions.